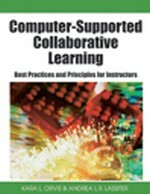 The focus of this study is on issues that impact the success of collaborative working online learning groups. The issues of how such groups work collaboratively, how to facilitate them, and what makes work in such groups satisfactory and successful were explored. The data were collected by semi-structured interviews from the participants in an online, project-based course. Hackman and Morris (1975)’s model was used as an analysis framework while interpreting the data. According to the results, it is found that group homogeneity plays a major role on successful group work. The second major finding is the importance of face-to-face communication among online teams. The findings of this study are especially important for those people who are planning to organize activities which involve collaborative learning groups.